This roundtable discussion will address how Asian American Digital Archives have created different kinds of (virtual, conceptual as well as physical) spaces for the engagement of diverse histories and experiences. We will consider the intersections between our geographical or ethnic/racial orientations and the sometimes different cultural/historical/cartographic conceptions of place that emerge from the communities in which we work. Furthermore, we will reflect on the continuing struggles to bridge the differing needs of researchers, educators and communities to make our collections and our programs more relevant. The roundtable is composed of a diverse set of archival efforts situated in university archives and classrooms, non-profit and grassroots projects and public history institutions. These efforts represent the depth and breadth of current efforts to situate and make relevant Asian American archival histories to Asian/Pacific studies and the broader public. 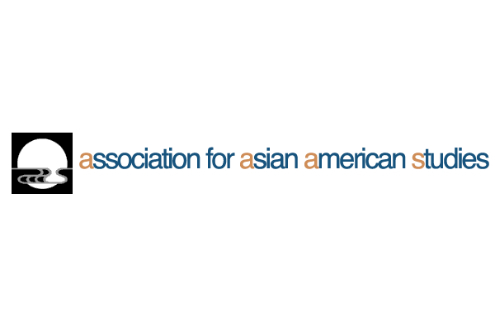 Register for the Association of Asian American Studies National Conference. Thuy Vo Dang, archivist for the Southeast Asian Archive and Regional History at UC Irvine, will discuss the theoretical and practical implications for building, sustaining, and developing an institutionalized archive for the experiences of refugees and immigrants from Cambodia, Laos, and Vietnam. In particular, she will discuss how these records potentially transform discourse on Orange County regional history and the stakes of representation for local communities. Manan Desai, board member for the South Asian American Digital Archive, will comment on some of the challenges and successes of SAADA’s effort to build a diverse collection of materials using a non-custodial approach, and to create content that increases community engagement and participation. Tram Le, project director for the Vietnamese American Oral History Project at UC Irvine, will engage in a discussion about how community spaces serve as alternative, grassroots, dynamic archives of their histories. Oral history archives provide a public repository for commemoration of the past. I would like to dispel the notion that archives are necessarily kept in a static state of preservation. Instead, she will discuss how grassroots archives are dynamic within in very public community spaces that provide access to historical memory as an interactive dialogue. Mia Nakano, director of the Visibility Project, will discuss how the photo oral history collection dedicated to Queer Asian American and Pacific Islander Women and Trans* communities is simultaneously accessible and challenges multi-generational audiences from junior high students, university faculty, grassroots organizers, and social justice leaders. She believes in the power and impact of a simple conversation. Linda Ho Peche, project manager for the Houston Asian American Archive, will discuss current efforts to develop and make digitally accessible community-lead oral history projects in the Houston area and considers how broader racial, regional, or transnational frameworks might expand the collection in new and unexpected ways, creating new audiences in the process. Grace Yeh is project director for the Re/Collecting Project at California Polytechnic State University, San Luis Obispo, which creates digital-only materials representing under- documented yet diverse communities on California’s Central Coast. Yeh will discuss conceptual and practical approaches to developing a community-based digital archive, as well as the collaborations with local organizations, the university, and individual families. Thuy Vo Dang is Archivist for the Southeast Asian Archive and Regional History at the University of California, Irvine. She earned her Ph.D. in Ethnic Studies from the University of California, San Diego, where she specialized in race and ethnicity, oral history, cultural studies, immigration and refugee studies, community studies, and Asian American studies. She is the inaugural Project Director for the Vietnamese American Oral History Project and Postdoctoral Fellow in UC Irvine’s Department of Asian American Studies. Vo Dang was previously an Institute of American Cultures Postdoctoral Fellow for UCLA’s Asian American Studies Center. She serves on a number of community non-profit boards, including Horizon Cross-Cultural Center and the Vietnamese American Arts and Letters Association. Manan Desai received his Ph.D. in English at the University of Michigan in 2011. He has served on the board of directors for the South Asian American Digital Archive since 2010, where he has helped build collections pertaining to the South Asian diaspora. He is currently working on a book manuscript titled The United States of India, which traces the exchanges between Indian and American intellectuals and political actors in the early 20th century, including figures like Lajpat Rai, Agnes Smedley, M.N. Wankhade, and W.E.B. Du Bois. He is in the early stages of a second project on visual representations of South Asians in the U.S., which examines photographs of early South Asian migrants to the U.S. as well as popular representations, such as the musician and TV personality known as Korla Pandit. He teaches graduate and undergraduate courses in Asian American literature, Postcolonial theory, and Transnational American studies. Tram Le is the new Project Director for the Vietnamese American Oral History Project housed in the Department of Asian American Studies at the University of California, Irvine (UC Irvine). Previously she served as the Interim Director of the Center for Asian Pacific American Students at Pitzer College and worked as the Community Bridges Program Manager for the Ford Theatres/Ford Theatre Foundation. Le received her B.A. in Business Administration-Marketing from California State University, Northridge (CSUN) and has an M.A. from the Department of Asian American Studies at the University of California, Los Angeles (UCLA). Her master’s thesis, “Finding Home,” investigates the journey of first-generation Vietnamese in Orange County through oral history and performance art. She co-founded Club O’ Noodles, a pioneering Vietnamese American theatre troupe, and as a Board Member of the Vietnamese American Arts & Letters Association (VAALA), she has curated multi-art exhibitions. In 2003, Le was the founding Co-Director of the biennial Vietnamese International Film Festival (ViFF), now the annual VietFilmFest, which has been hosted at UC Irvine and UCLA and showcases films from around the world. Mia Nakano is a photographer, filmmaker, and media artist. She is a seasoned self-taught artist and educator who advocates the use of visual arts to create social change. Nakano is the founding photo-editor of Hyphen magazine, active board member of the Queer Cultural Center, and Oakland based youth organization, Banteay Srei. Her work has been featured on the cover of Colorlines, the Kathmandu Post, and highlighted on Democracy Now!. Her artwork has been shown nationally from Philadelphia to Los Angeles. Nakano has contributed to organizations such as the Smithsonian, Salon.com, de Young, and the National Queer Asian Pacific Islander Alliance. She is the Director of the Visibility Project: a photo an oral history collection dedicated to the Queer Asian American and Pacific Islander Women and Trans* communities. Since 2007 she has been traveling throughout the U.S. doing work on the Visibility Project and has visited 12 states, 13 cities, and worked with over 130 participants. Linda Ho Peche is an instructor and project manager for the Houston Asian American Archive, housed on the Rice University campus. She received her Ph.D. in Anthropology at The University of Texas at Austin. She is currently working on a book project titled “Searching for the Spirit(s) of Diasporic Viet Nam: Appeasing the Ancestors and Articulating Cultural Citizenship,” which examines how the acts of searching for, appeasing and situating ancestral spirits function as meaningful and instructive practices for different generations of diasporic Vietnamese. Aside from digital archiving, my current interests span material religion, cultural citizenship, the second generation, diaspora studies, and the anthropology of space and place. Grace Yeh is associate professor of ethnic studies at California Polytechnic State University, San Luis Obispo. She directs the Re/Collecting Project, a digital ethnic studies memory project of California’s Central Coast. She received her Ph.D. in English at UCLA. She is currently working on a project titled Filipino Love Stories in San Luis Obispo and Northern Santa Barbara Counties, 1920-1970, which examines the constrained circumstances that marked Filipino American lives through the intimate bonds–of marriage, family, and community–that formed in this region.